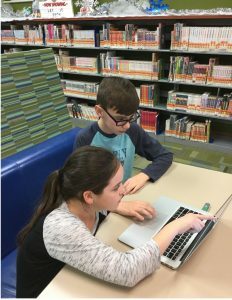 The library’s Moviecraft program started with a simple idea. Besides a degree in English, I have a degree in film production and screenwriting and a degree in social work. I knew how to film, and I knew how to work with young people. One of our staff members recommended that I could lead some kind of filming workshop with the teens if I wanted to. From that tiny suggestion, the fire was ignited and lightning struck. Moviecraft was born. I’ve been hosting the Moviecraft program since the summer of 2014 with this season’s Diamond Starlight Productions project marking the sixth time we’ve dived into the impossible, and Moviecraft, on the surface, seems impossible. We bring 30 teens (6th-12th grade) or tweens (3rd – 8th grade) together, and in seven weeks, twelve weeks, 14 hours, or 24 hours, we produce from the very beginning, a short film. We start with what our team name should be. We’ve had so many incredible (and incredibly crazy) production teams; Sock Studios, Imagination Pictures, Golden Pancake Productions, Fingerprint Films, and our most recent, Diamond Starlight Productions. The name is their first act of compromise, of collaboration, and Moviecraft, at it’s core, is all about collaboration. From writing the script to working in their specific jobs that mirror a Hollywood crew, our community’s young people learn how to talk to each other, how to work through big challenges, and how to tell a good story. Diamond Starlight Productions was one of our most challenging sessions. With a demanding script, a grueling schedule, and a lot of energetic kids, we had so much to overcome, but oh how they did. They shared their work, dared to step out of their comfort zone, and when the sound on the audio cut out or set pieces fell a part, they tried and tried again. It’s remarkable to see our teens and tweens in action and even more remarkable to see the proud faces of their friends and family at the Red Carpet Premiere. We’ve seen that it’s not the awesome explosions or cool visual effects that make our movies magical. It’s our team, our young people, who are the real magic makers. We’ve got so much in store for Moviecraft this summer and another huge challenge ahead of us; animation! 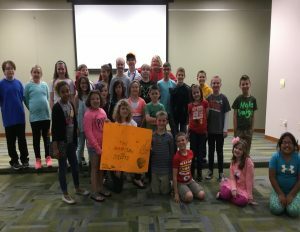 If you or someone you know is going into 6th grade or higher next year, we’d love to have them join us on this magical ride that is movie making. Registration opens up on May 30th at 9AM!